Sara Frank thanks Martha Berry for the box of cotton she received, and says she is giving her friends some of the blooms. 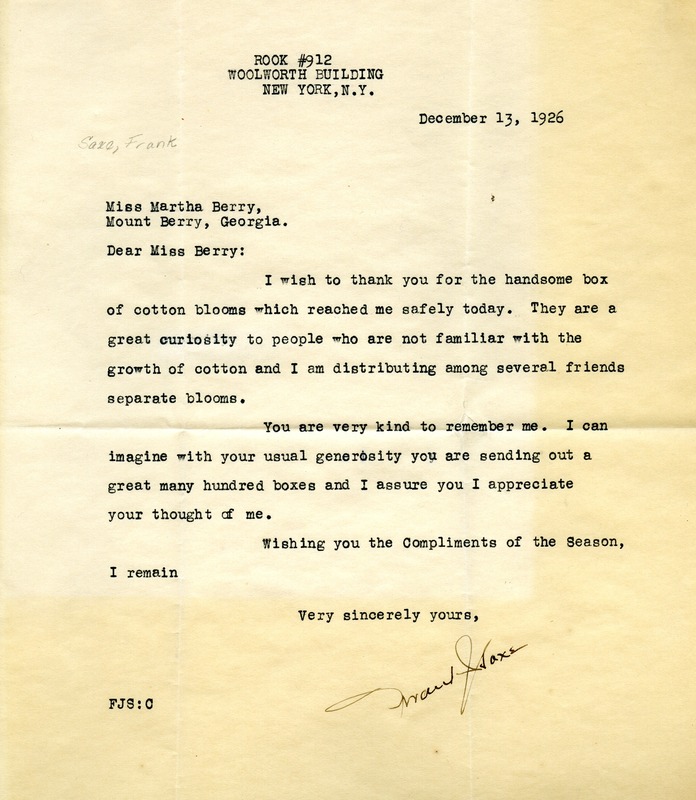 Sara Frank, “Letter from Sara Frank to Martha Berry.” Martha Berry Digital Archive. Eds. Schlitz, Stephanie A., Kelli Kramer, et al. Mount Berry: Berry College, 2012. accessed April 20, 2019, https://mbda.berry.edu/items/show/3234.